This beautiful and stylish cross pendant with chakra stones balances your overall energy and combines your physical state with spiritual energy. Ankh Chakra pendant when kept close to the heart activates Heat chakra, which oozes love. 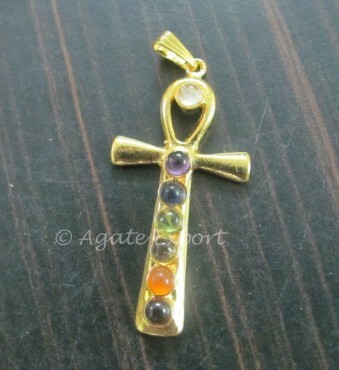 Get this smart pendant only on Agate Export.